5 HUGE Stars–And My Favorite Read Of The Year! Oh my gosh! This book! This unbelievably heartfelt, emotional, gripping book! I LOVED this book. I mean I REALLY loved this book. Like, I loved EVERY SINGLE THING about this book. I think you get my drift. It been a long time since I’ve fallen wholeheartedly in love with a book, its characters, and its love story. I adored this heartbreakingly emotional story. It made me laugh, it made cry, and it made me believe in young love. I loved the heroine, Sky. She’s one of the best female YA/NA leads I’ve read to date. As for the hero, Holder, he simple stole my heart. I can’t begin to tell you how much his wonderfully written character affected me. I’ll be honest, I couldn’t fully understand why so many readers gushed about this author’s work. Until now, I had only read her last few releases, and while I felt the writing was excellent, I can’t say I overly enjoyed the love stories (in fact, I hated Ugly Love). So, after finishing her latest release, I decided to give her earlier books a try to see what all the fuss was about. Oh my goodness, to say I’m glad I did is an understatement! I NOW get! I NOW understand why so many of my friends love this author. Colleen Hoover’s Slammed series is excellent and this book…well, it blew me away! 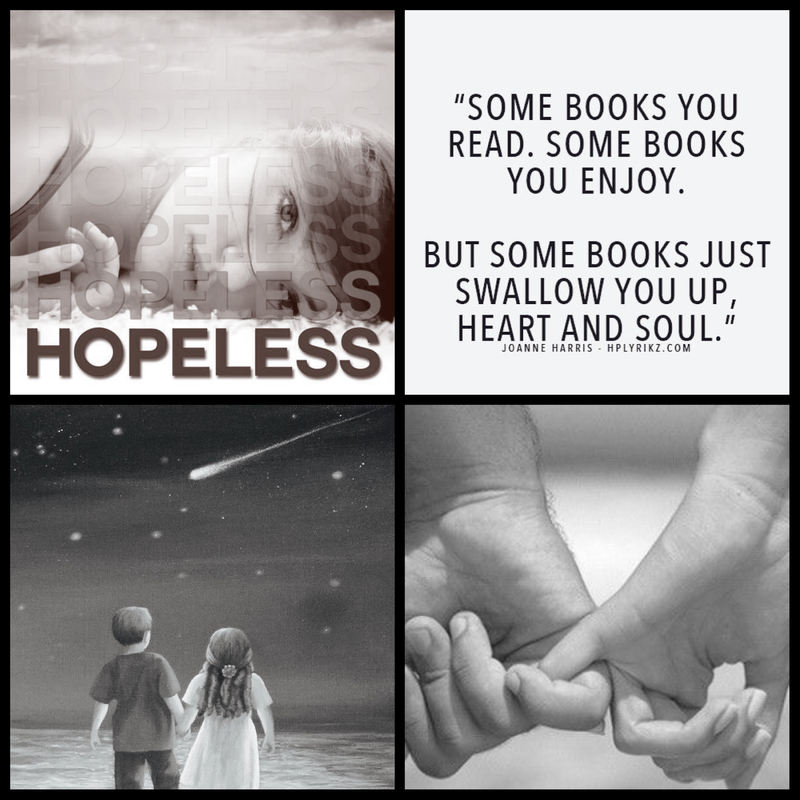 Hopeless is a book that will forever live in my heart. The way it made me feel, from the first page to the last, is why I read romance. It’s by far my favorite read this year. I can’t praise it enough. 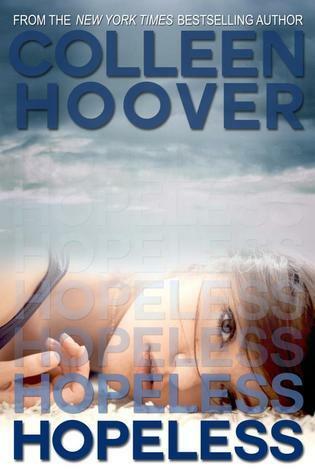 2 Comments on "Hopeless (Hopeless, #1) by Colleen Hoover"
I've got to check it out for myself. thanks for your review Kristen.